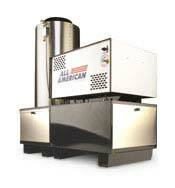 All American’s Natural Gas Series are highly efficient hot water pressure washers. 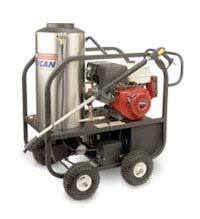 These stationary natural gas machines are built tough for years of trouble-free service. Features include a stainless steel wrap and doors, auto ignition and adjustable temperature control. For the highest level of quality and performance from All American, consider the Premier Series. 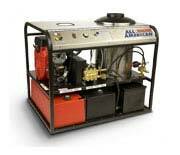 Oil-fired burners with a skid style frame, the Premier Series is perfect for trailer mounting. A belt drive pump and adjustable temperature control are a few of the many features.